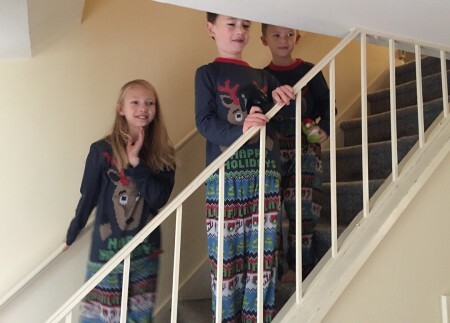 My brother and sister-in-law arrived in Pittsburgh Tuesday night and stopped at the house to see the kids before heading to their hotel. 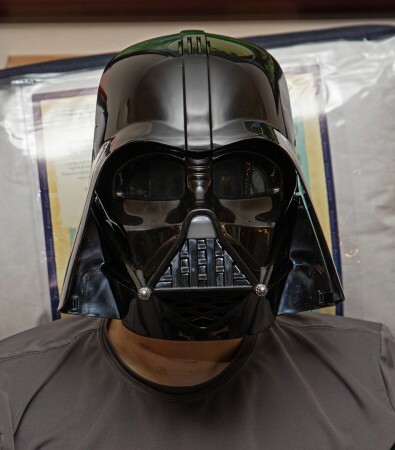 Wednesday we met at the movie theatre to see Star Wars: The Force Awakens. 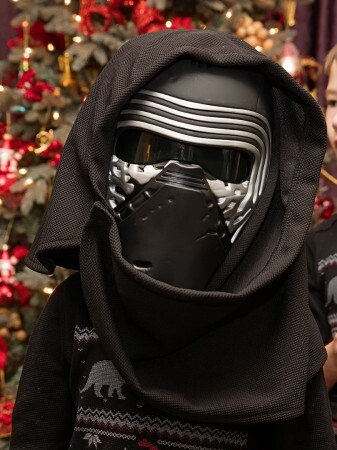 Scott had already been to the movie and we were both excited to take Wyatt since he loves the Star Wars movies so much. Wednesday night was family meatloaf night at my parent’s house. 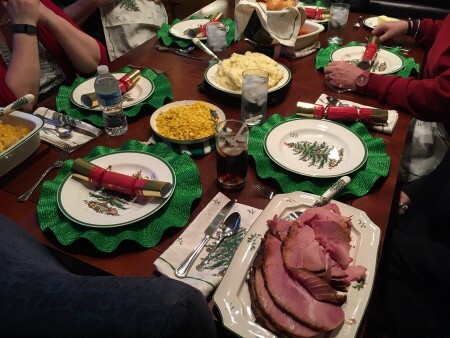 Why meatloaf…tradition. 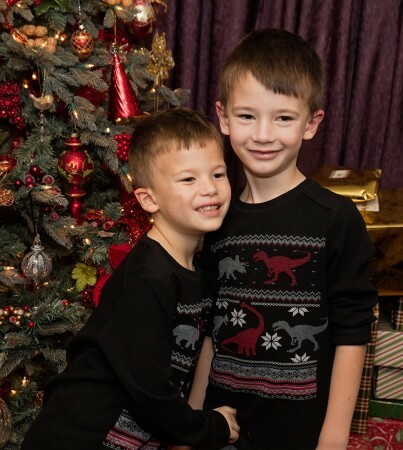 We had it one year on the night before Christmas Eve and we have had it every year since. I wrapped the last of the presents that night. Christmas Eve we headed to my parent’s house in the afternoon. My dad was outside with his new drone which provided lots of entertainment as he attempted to learn to fly it. 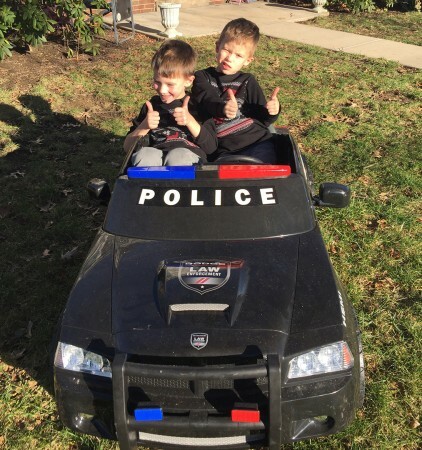 It was a beautiful sunny afternoon, so Ruslan was able to drive his police car for a while (a Christmas gift from 2 years ago). 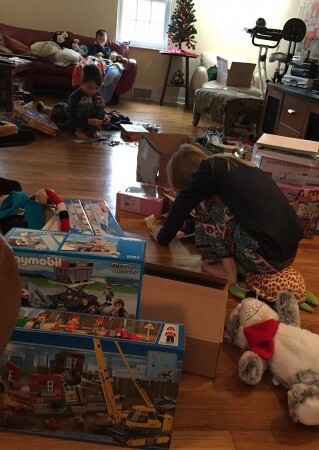 After stuffing our faces with turkey, stuffing, mashed potatoes and lots of other food, it was time to open presents. 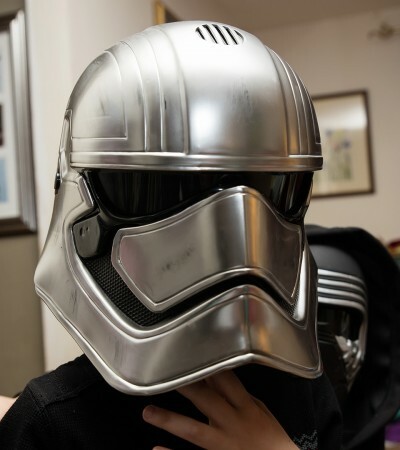 My brother and my parents bought lots of Star Wars toys for the boys – the masks are all voice changing which adds extra fun to light saber battles. 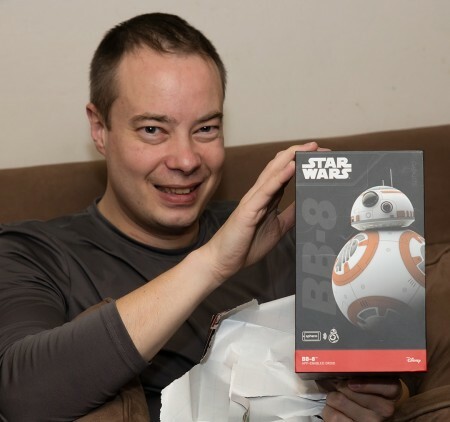 Even Scott received Star Wars toys. 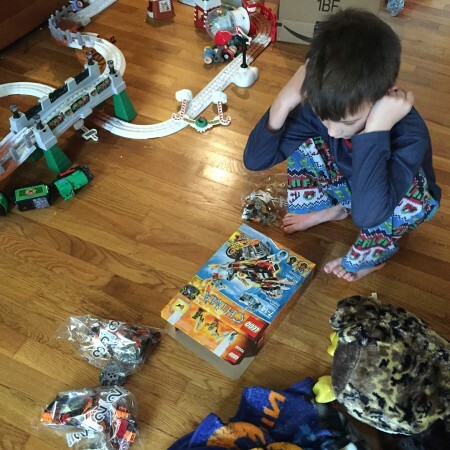 When Wyatt opened his box of clothes, he removed the Star Wars underwear and added it to the toy pile so all of his important stuff would be together. 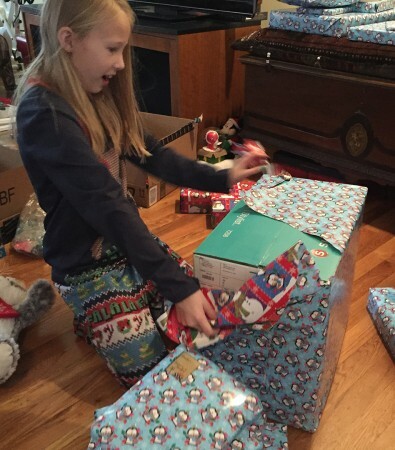 Juliana’s favorite present of the day was Grace Thomas (American Girl doll of the year) and accessories for her. We packed up the car and headed home and unloaded the car. 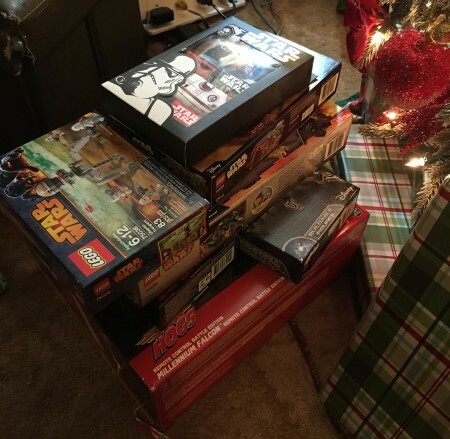 Everyone changed into their Christmas pajamas and once the kids were asleep I recovered all of the presents from their hiding places and arranged them under the tree. 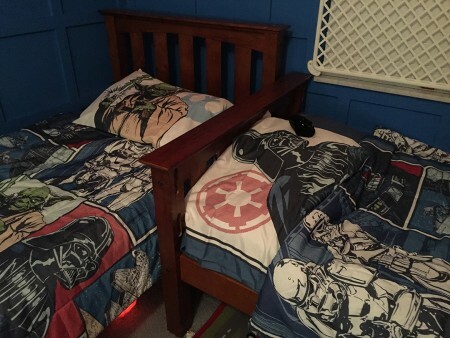 Then I moved the boys out of their beds and changed the sheets and blanket and returned them to their beds so that they would wake up to another Star Wars surprise. 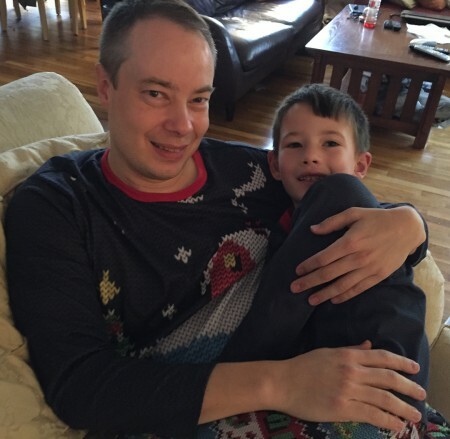 Christmas morning is a leisurely affair in our home now. We don’t rush downstairs before dawn. In fact this year it was 9:00 before we started to open presents. 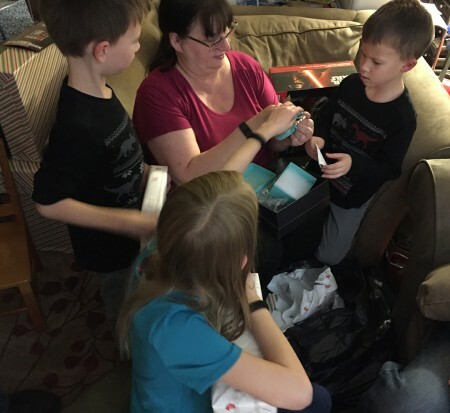 Since I don’t put any presents out until the kids are asleep on Christmas Eve, their first glimpse of the packages is when they come down the stairs in the morning. 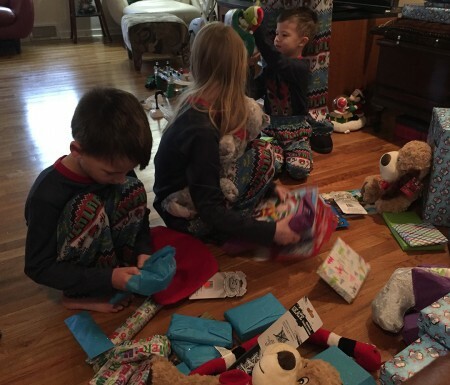 They opened their stockings together and then we started to open the presents. 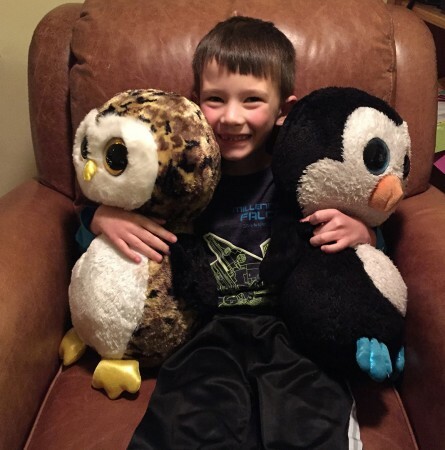 In 2014, the kids were all obsessed with Beanie Boos and Wyatt asked for the big penguin for Christmas. Giant Waddles is never far from Wyatt and is usually Wyatt’s pillow at night. When he opened Giant Waddles last Christmas, the other two immediately asked why they didn’t get one. 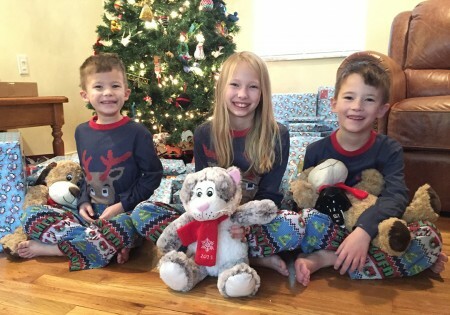 So this year, I made sure they each had a giant beanie boo under the tree and they were all thrilled! 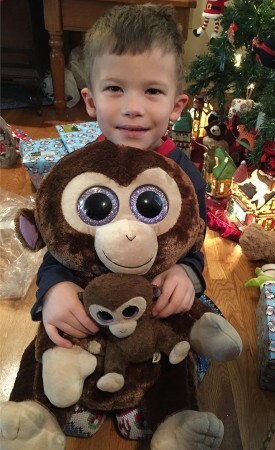 Juliana loved her turtle, Ruslan ran upstairs and got a baby monkey, and Wyatt introduced Giant Waddles and Giant Owl. 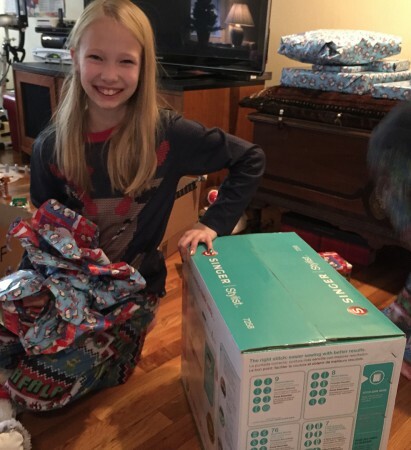 Juliana has taken an interest in sewing this year so we decided to buy a sewing machine for her. 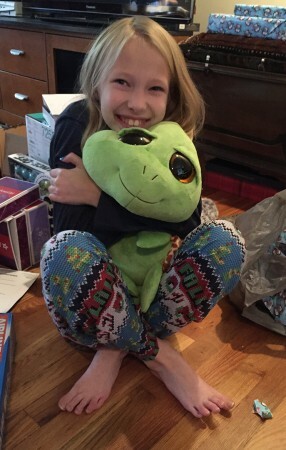 It was her favorite present this year and she is very excited to learn how to use it! 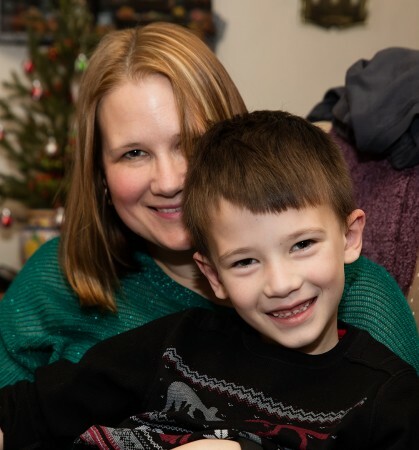 When the last present was open, Juliana opened Shopkins to play with, Wyatt started to build a Lego set and Ruslan snuggled up with his new blanket and stuffed animals. That afternoon my parent’s and Scott’s parents came over for dinner – ham, mashed potatoes, mac n cheese and lots of other food and treats. 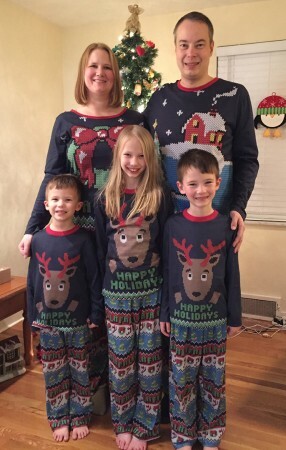 It was a great Christmas complete with matching pajamas for the whole family.